On the 30th (Fri), explore the ancient world of Rabdentse Ruins and then don't miss a visit to Pemayangtse Gompa. On your second day here, explore the activities along Khecheopalri Lake, then admire the sheer force of Kanchenjunga Falls, and then contemplate in the serene atmosphere at Pemayangtse Monastery. For reviews, where to stay, other places to visit, and more tourist information, refer to the Pelling vacation planner . Kolkata (Calcutta) to Pelling is an approximately 5-hour combination of flight and taxi. You can also drive; or do a combination of train and taxi. In August in Pelling, expect temperatures between 38°C during the day and 30°C at night. Finish your sightseeing early on the 31st (Sat) so you can drive to Ravangla. 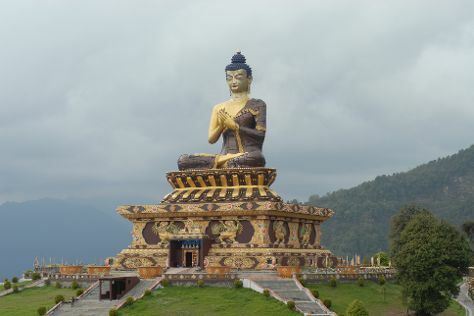 Start off your visit on the 1st (Sun): trek along Maenam Hill, admire the striking features of Doling Gompa, then walk around Buddha Park, and finally take in the spiritual surroundings of Ralong Monastery. For where to stay, photos, reviews, and tourist information, refer to the Ravangla trip itinerary builder app . Traveling by car from Pelling to Ravangla takes 4 hours. August in Ravangla sees daily highs of 38°C and lows of 30°C at night. Finish your sightseeing early on the 1st (Sun) so you can drive to Gangtok. Gangtok is known for nature, historic sites, zoos & aquariums, wildlife, and casinos. 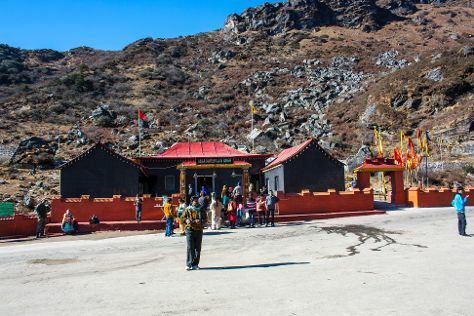 Your plan includes some of its best attractions: make a trip to Baba Harbhajan Singh Mandir, contemplate in the serene atmosphere at Rumtek Monastery, explore the activities along Tsongmo Lake, and admire the sheer force of Banjhakri Water Falls. To see other places to visit, reviews, maps, and more tourist information, you can read our Gangtok trip itinerary planner. You can drive from Ravangla to Gangtok in 1.5 hours. Finish your sightseeing early on the 5th (Thu) so you can travel back home.